Chalkboard wall paint has been around for a while now, but dealing with chalk dust gets old fast – the solution, of course, is to upgrade that paint just as schools have updated their own writable teaching surfaces. 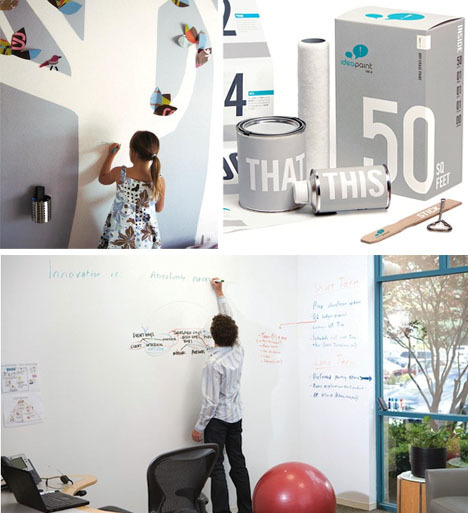 Young 20-something entrepreneur John Goscha dropped out of his banking job to design and market this material “for home, work or school” that may transform walls as we know now them. 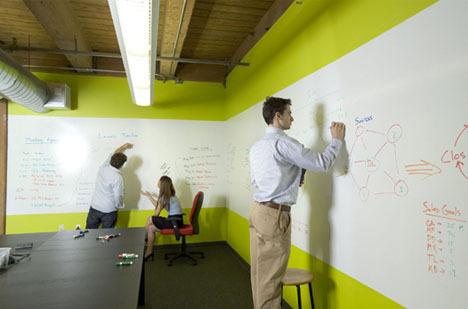 Titled IdeaPaint, it is available for half the price of an actual whiteboard and works just as well or better, leaving no marks behind when you wash down your work (and, without the rest of the infrastructure, it turns out to be greener, too). New 7 Wonders of Nature: The 7 Winning Wonders!